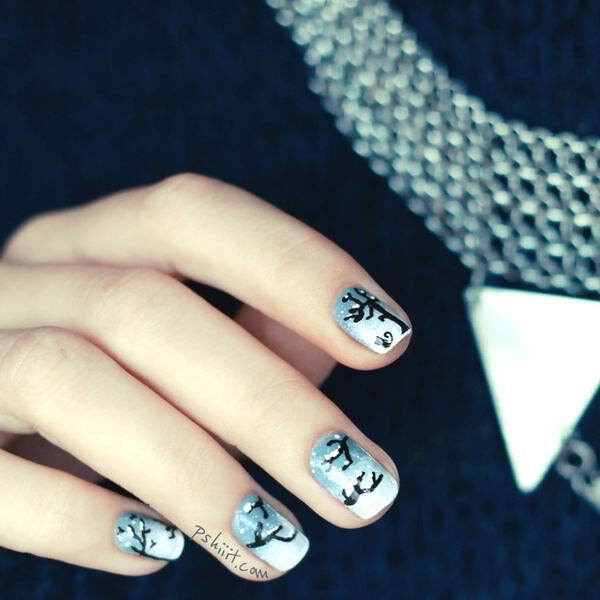 Cute Nail Art Ideas for the Winter! With the arrival of the season of chill and breeze, a change implies on every aspect of our life. Our apparels and lifestyle also gets an impact of this change. Among a huge number of preparations, self pampering is also a point that we have to work on. Nail art is such an idea to get started with in this season of winter. Nails are one of the most important appearance from which one can say a lot about that individual. Taking care of them is a significant part. Instead of doing the all time single or double colour polishing, one can easily try out different creative drawings on their nails. They can use their nails as a canvas to draw anything they have in their mind. The inspiration of nail arts can be affected from any situation, event or season. 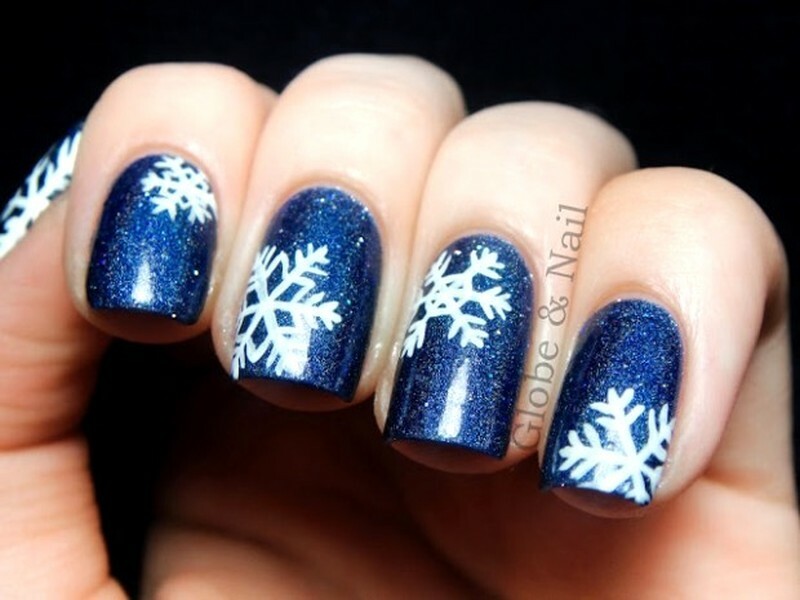 Winter nail arts are more common to get with a snowflake or snowman. But you can also get different varieties by drawing the trees with snow, house or anything you feel interesting to yourself! 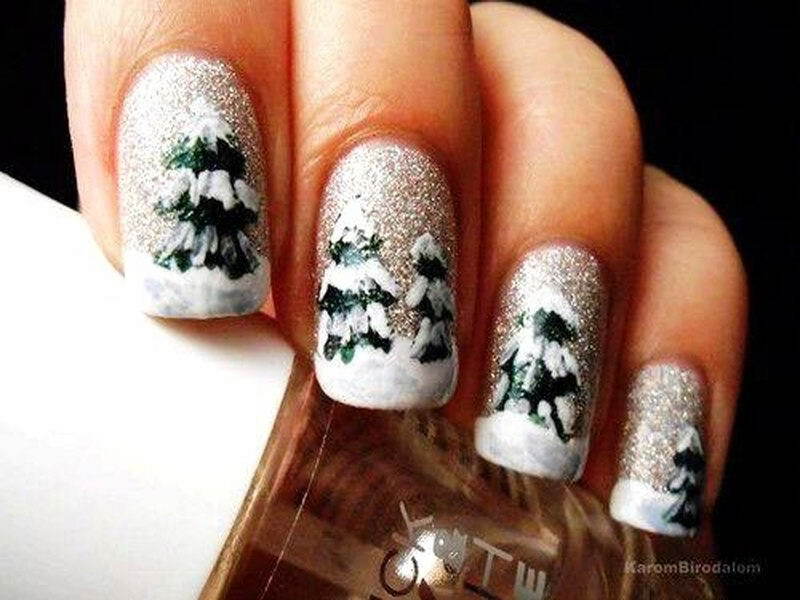 To set the Christmas mood, winter inspired nail arts can play a very important role! For example, you can start with a simple snowflake. This one is very easy and will need only the base colour on which you want to draw the flake and a white polish. 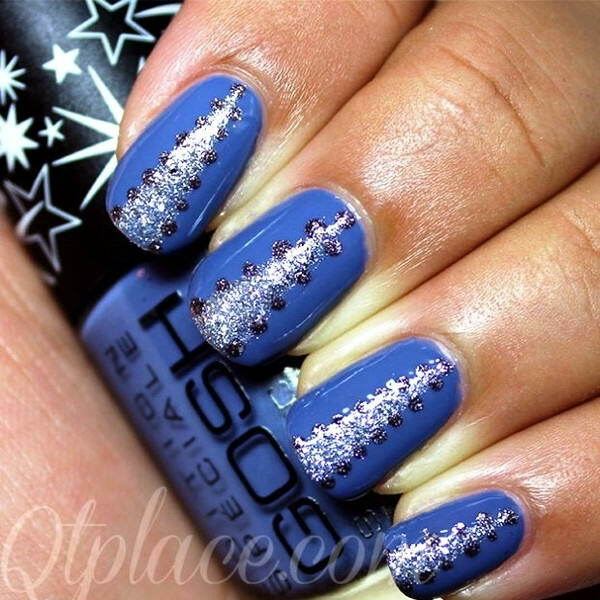 Coat your nails with one plain colours and then add the white dots to draw the winter snowflake. Let it dry and you will have very cute snowflakes on your nails! Christmas tree is another interesting and common thing for the winter. You can draw the tree with the colours of your wish. Blue backgrounds with green trees with snows on it are the simplest design. If you want to make it more creative, you can use a glitter polish to put some lights and a star on top of the tree to make it just perfect! A snowman only is enough to represent that you are inspired by the season of winter. You can start the snowman by having a cot of plain coloured polish. Use white colour with dots to draw the shape of the snowman. A hat, feet, dark buttons can be given using a black polish. An orange polish can be used to give a carrot nose and that’s all! 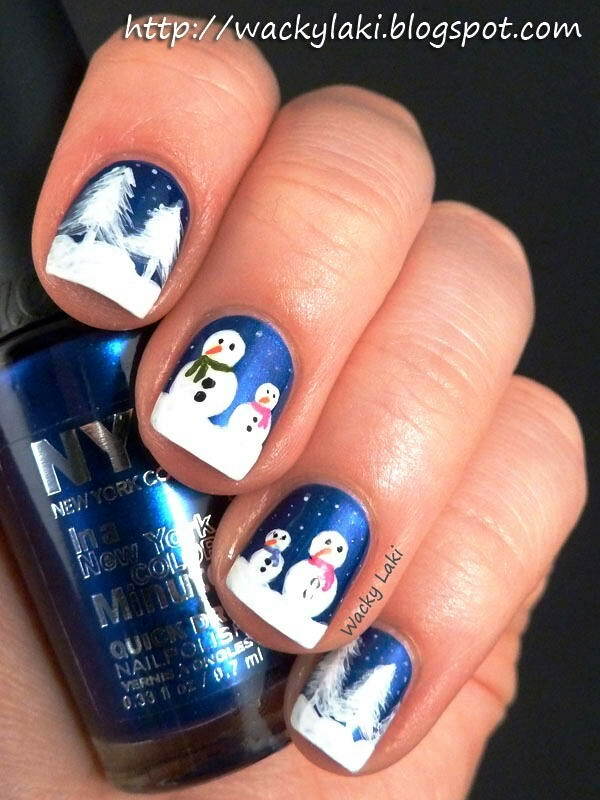 A unique and adorable snowman will be displayed on your nails! 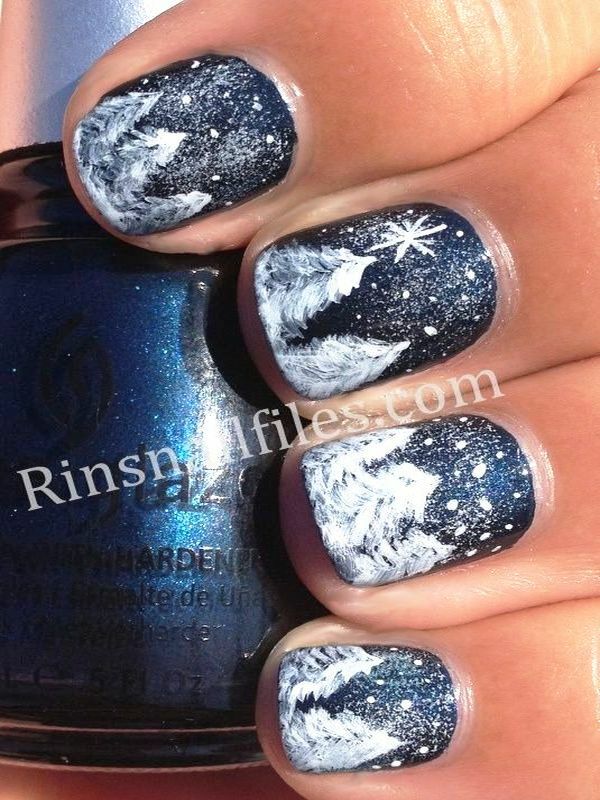 To make the nail art more creative, you can try out a design with midnight snowfall which is one of the most attractive scenarios during the winter. To make this design, you can have a plain background with blue or black. White polish can be used to draw small or large falling snowflakes. 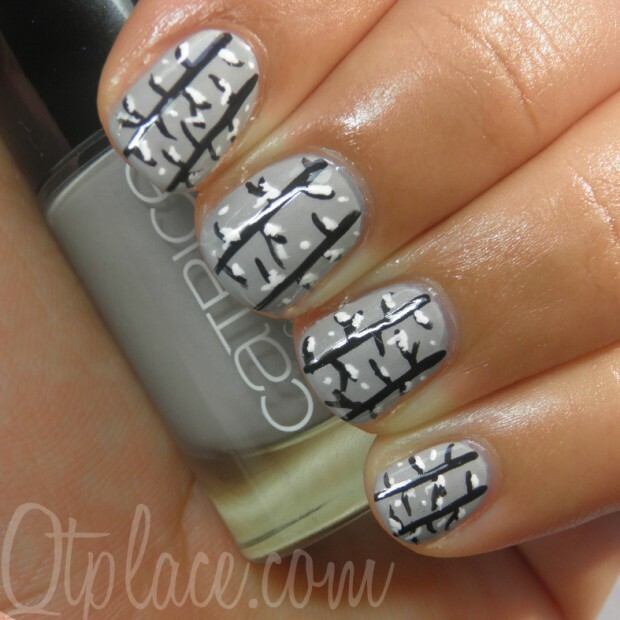 A single tree on one nail can make it look very unique with a complete view. Drawing trees alone can bring many different ideas. Trees with snows are the most common one for the winter inspiration. But you can also draw the one with no leaf. The background can be in blue with black single lines to shape the tree. 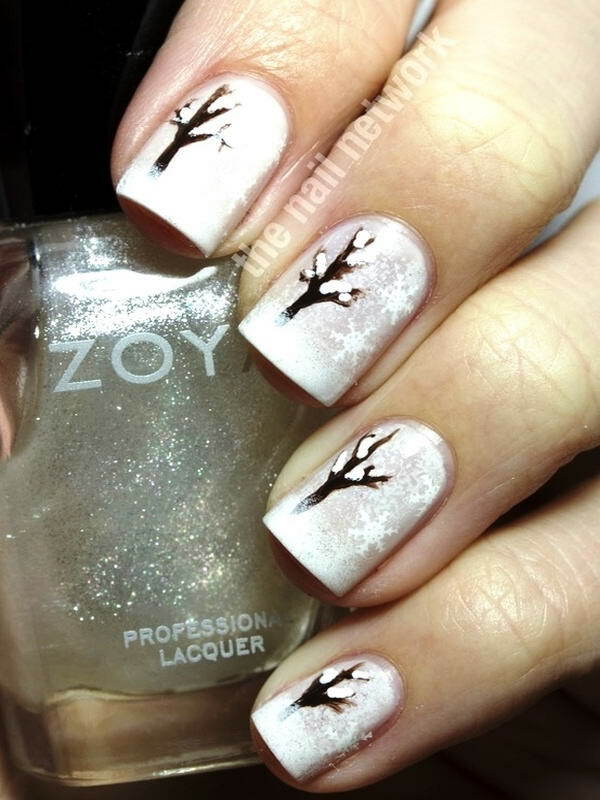 Use the white polish to make the snow on the tree branches. 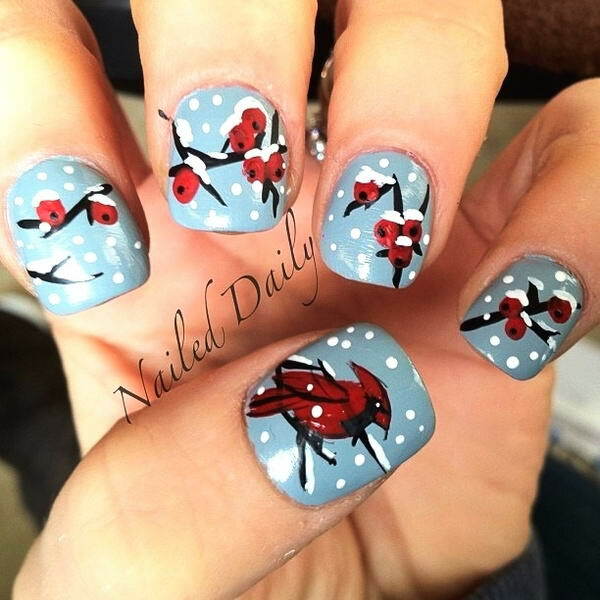 Adding a single bird on any of the fingers will make it amazing! Along with these designs, you can do many varieties by using a combination of them. You can use your all fingers to draw a complete view of a winter night with a house and its surroundings. It will not only make the design a masterpiece, but also the drawing will set up the perfect mood for the season. 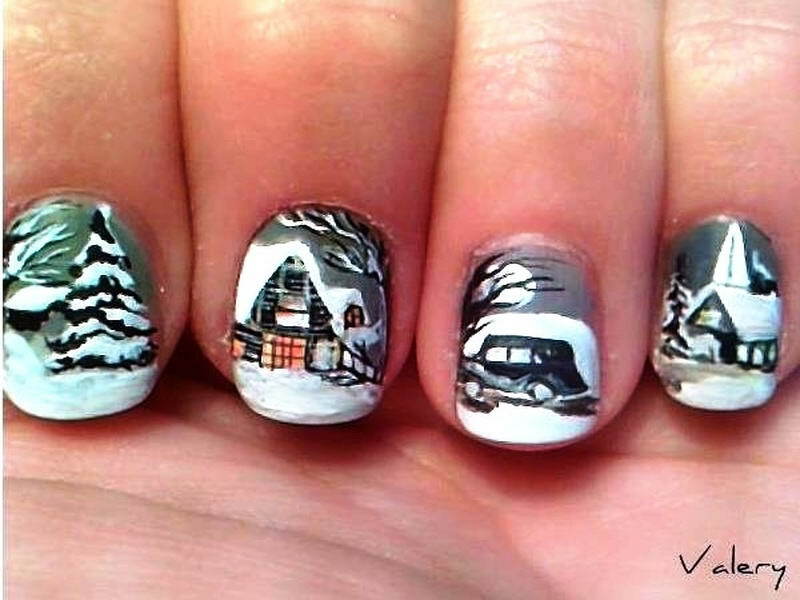 Are you ready to have winter inspired nail arts on your nails? Which design did you like best? Collect the nail polish colours you are going to need and start with the designs today to get the best compliments out there!